Living a Life of Magic (LALOM) is an online mystery school presented by me (Wendy), and my husband Timothy Van Diest. Each course we offer is a joyful, experiential journey of Magic, growth and transformation. Since we began the school in 2011, we have inspired hundreds of people throughout the world to follow their own own unique Soul Path, and deepen their connection to the Magic of Nature. We are not aligned with any particular magical or Witchcraft tradition (eg, Gardnerian, Reclaiming, Alexandrian etc), but rather take an eclectic approach that keeps us open to growth and learning. By combining beautifully written and informative booklets, professional audio recordings of rituals that include original music and guided meditations, helpful videos, and a community forum for feedback and guidance, we aim to offer a truly unique and holistic learning experience. I have been teaching Witchcraft and the Arts of Ritual for more than 18 years, and truly love the experience of sharing, growing, and learning together. I started out teaching weekly Witchcraft workshops in my little cottage in inner Melbourne, and not long after began to tour my workshops throughout the world, combining my teaching schedule with my music tours. Now I spend more than half the year on the road – teaching, performing, exploring. This is great fun, but it also means that I’m never in any one place long enough to teach an extended course, or maintain regular ‘face to face’ classes. This is why we developed LALOM – to create a strong and vibrant magical community that we could maintain connection with over extended periods of time, regardless of where we are in the world. The result is liberating, exciting and powerful! LALOM offers a number of different courses to suit individual needs. Our “13 Months of Magic” course begins in March each year and follows the cycles of the Full Moon through each of the signs of zodiac (next course starting March 2018). A follow-on 13 month journey “Raising Magical Energy” takes place on every Dark Moon and explores the energetic flow in the body (with a focus on the Chakra system) and how this connects to the wider Universe. 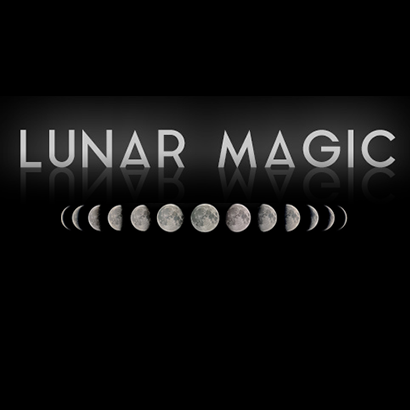 In 2016 we began teaching a shorter, 5 week course on “Lunar Magic”, which follows each phase of the Moon from full, through waning, dark, waxing, and back to full. This course will be offered again in June 2017. Further short courses will be offered later in 2017. We believe that each person’s relationship with the Universe is unique, powerful and sacred. Our focus is on helping people to discover and celebrate their passion for Life. We love to improvise and we encourage our students to do the same, trusting their intuition to create their own magical practices. We believe that this adds a greater depth, meaning, and power to each person’s spiritual journey. Teaching for me is not just about sharing knowledge -it is a process of awakening and inspiring others, learning and growing together. Moving beyond outdated forms of spiritual hierarchy, Tim and I see ourselves as facilitators in a Circle of Equals, each of us learning from each other. Once you enroll we will email you a welcome kit that contains helpful info to get you started, including our ‘Magic Primer’ booklet, a helpful reading guide, and instructions for creating your personal profile on our online learning portal. Then, once the course begins, you’ll be sent a wonderful study booklet each month (or each week for the 5 week courses) full of relevant information to help you prepare for the next monthly or weekly ritual.The booklets and supporting material (videos, helpful web links etc) draw on mythology, astrology, astronomy, art, poetry, ritual, Nature, herbalism, crystal lore and my own personal experience to create a truly exciting and entertaining experience. Each month (or week) we will perform and record a special ritual that corresponds to the phase or sign of the Moon that we are studying. We will then upload this recording for you to listen along to as you perform your own ritual. Clear instructions are given in each booklet to make sure you are well prepared and can get the most out of each ritual . There is no fixed time for you to log in. Once the ritual is uploaded, you can stream or download at a time that suits you. Our rituals includes beautiful guided meditations, improvised musical soundscapes, spellwork, chanting, drumming, divination, and storytelling. They are fun, lighthearted, and yet full of truly transformative depth and power. THE UNIQUE RECORDINGS ARE NOT AVAILABLE TO THE GENERAL PUBLIC! The third, and equally important component of each course is our online community forum – what we like to call our ‘Magical Moot’. Our LALOM community provides a wonderful opportunity to connect with people all over the world. Here you can make your own profile, share pictures and links, and write directly to other Life of Magic members. It’s also a place to reach out for guidance from your fellow LALOM journeyers. This is how we create and maintain our global LALOM community. Strong friendships and ongoing magical partnerships have been forged here. Each Living a Life of Magic course is open to anyone who want to deepen their connection with Nature, and the flow of Universal Magic. 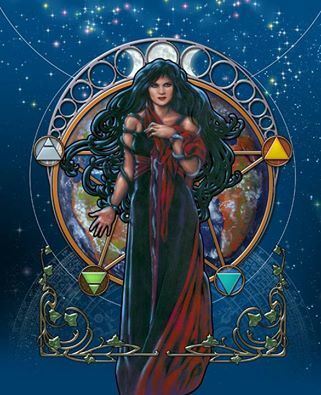 LALOM is suitable for both beginners and advanced practitioners of Wicca, Magic and Paganism, but is also a wonderful journey for people who don’t identify with any particular path, and simply seek to explore their Spiritual journey as Earthlings. Although our rituals loosely follow a Wiccan model, they are eclectic, adaptable, and suitable for people from all spiritual backgrounds.By focusing on individual experience and direct connection with Nature, we encourage discovery, creativity, and fresh new ways of approaching the ancient arts of Magic. Because Living a Life of Magic is a truly global community, we do not follow a traditional Pagan ‘Wheel of the Year’ ( which follows the flow of Nature through a single seasonal cycle). There is a six month difference between the seasons in the Northern Hemisphere and those of the Southern Hemisphere, so a ‘Wheel of the Year’ approach just wouldn’t be practical – with our students split between hemispheres, and our touring taking us back and forth across the equator a number of times a year! So how do we acknowledge the sacred cycles of Nature? Firstly, we follow the cycle of the Moon, which is the same all over Earth. And secondly, we explore and share the different ways that Nature is expressing herself in the parts of the world where we live, or where we happen to be traveling to. We encourage our students to observe and celebrate the Nature around them, and to remember that whenever they are celebrating one seasonal festivity, the opposite season is being celebrated on the other side of the world. Midsummer and Midwinter occur simultaneously! In this way we develop an understanding of the power of balance and polarity in all of Nature. As a passionate traveller, I particular love to explore sacred and magical places around the world, and to share these experiences with our students. Who knows where each ritual or teaching video might be recorded? Maybe at an Ancient Greek Temple on a remote island, or in a cottage in the Australian forest, or a neolithic stone circle in England, or my own lovely little home in Santa Fe New Mexico. Life is always changing and full of adventure. What matters is to be flexible and always present in our connection with the Magic of the Universe. No matter where you are in the world, as long as you have access to an internet connection and a computer or tablet, then LALOM will work for you. We’re aware that people have busy lives, so we like to keep the courses very flexible. There are no fixed log in times, so each course can be adapted to suit your own timetable. Once each course begins, you can access the monthly or weekly material whenever it suits you. We expect our students to maintain a strong involvement for the duration of each course, but this does not mean that the workload is necessarily heavy. At the bare minimum, we simply hope that you read each study booklet, (sent monthly for the 13 month courses and weekly for the 5 week courses), perform each ritual, and drop into the Magical Moot every now and then. This means that you need to be willing to dedicate approximately 3 hours minimum each month or week. If you find that you have more time available, I provide lots of additional reading suggestions, videos and links to help deepen your experience. And of course I encourage you to really make the most of our Magical Moot. The more that you put in, the more that you will get out of LALOM. There is no need to freak out if you hit a busy point in your life and fall behind in the readings or rituals. There are no assessed tasks in LALOM. Just write to me and I’ll help you get back on track. Living a Life of Magic is an experience, not a task. Tim is the tech wiz of LALOM. He will help get you set up with our online learning platform, and is always available to offer tech support to help you navigate any hurdles. As a sound engineer, Tim is also in charge of recording each ritual, and creating lovely musical soundscapes to enhance the ritual experience. HOW MUCH DOES LALOM COST? We aim to be as affordable and accessible as possible, and therefore offer both monthly installment plans, and generous discounts for upfront payment. 13 Month Courses: $50 per month (Total $650) . 20% Discount for Upfront Payment: $500 total. For more payment / enrollment info, see individual course pages. If you are genuinely interested and would find the cost prohibitive due to unemployment, illness etc, please email me and we can have a chat about options.